I think its greatsubmitted by Patrick L. - Apr 06, 2019 |Recommended: YesCome live next to me. Superb apt livingsubmitted by Christina T. - Jan 22, 2019 |Recommended: YesFriendly people and a wonderful office staff with quick response to maintenance requests. Very nice place to livesubmitted by Isai V. - Jan 04, 2019 |Recommended: YesVery quiet place and neighbors are friendly. So far so goodsubmitted by Hans D. - Nov 29, 2018 |Recommended: YesWe haven't been in an apartment in over a decade and the front staff have been great understanding that. Making sure that we understand the online process and helping with the mistakes we have made. The maintenance staff have been ok . There is a misunderstanding about letting strangers into my place without me being here. I work from home so I'm here almost all day. There is almost a month for a light bulb to be changed, but when Jamil came to replace it, he went above the work requested. We mentioned a couple of other problems and he repaired them right there. A great asset to the maintenance staff. We can't compare to other apartments as mentioned above. It is easy to live in, and quiet.submitted by Sierra K. - Oct 30, 2018 |Recommended: YesI would say it is in an amazing location, the staff is great, and it Is overall very quiet. The Edge Property is well kept up.submitted by Rebecca O. - Oct 29, 2018 |Recommended: YesI would tell them that the management is helpful and that I like the community here. Awesomesubmitted by Breanna T. - Oct 21, 2018 |Recommended: YesI love the staff and the community I feel safe with the gates community.  response from property - Sep 28, 2018 Wayne, Thank you for your recent review of The Edge. We are truly excited to have you as a valued resident. If there is ever anything we can do to make The Edge a better place to live, we welcome your feedback. We are available to you daily so feel free to stop in and see us in the office any time. It is very nicesubmitted by Natasha V. - Sep 26, 2018 |Recommended: YesI have enjoyed the apartment complex so far, but unfortunately, the AC in our apartment was broken for the first 3 weeks of our stay and that was definitely frustrating. Happy with my apartment and view.submitted by Judith M. - Aug 31, 2018 |Recommended: YesPricing is a little steep, but the housing market has gone out of control. This complex offers two swimming pools, and a very nice BBQ area. I am pleased since it is so close to my employment.